Hi, I’m Majovel! If you liked the first entry of my favorite crochet patterns found on the internet wait to see this post. 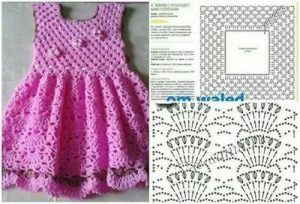 I have left you three beautiful little girl dresses, very easy to make, ideal for beginners. If you have any questions regarding the sizes I leave a link where I explain what are the sizes in centimeters and inches. You can access the link for girls from 2 to 12 years old by clicking link.But if you want to do it for babies you can do it by clicking on this link.. Let’s see those patterns! 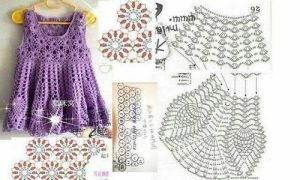 I hope you like these beautiful crochet dresses. I hope you like them as much as I do. How can you see are some beautiful dresses, ideal for spring and summer. 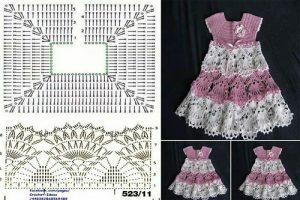 I remind you that you can also see all my crochet patterns and models on my personal blog https://www.majovelcrochet.com/. I hope you have liked everyone and everyone, any questions or comments you can leave it below in the corresponding space and I will answer as soon as possible. I thank you from your heart for your support. A hug.